Most of us have hectic lifestyles, and we are prone to get certain diseases. We do not like that, but due to the excessive inflammations in our body, internal infections are quite common. Doctors often prescribe antibiotics which in the long run ruin our digestive track and also our perfect immune system. We should always rely on something that is natural and something that our ancestors may have gone for when suffering from certain illnesses. You will need an all-natural tonic that will help in clearing out impurities from our body, rejuvenate the blood circulation and also give us a healthy glowing skin. The topic we are going to make today is stuffed with an antibiotic, anti-inflammatory and anti-fungal properties which help the human body fight against many diseases. The ingredients will need to mix in a clean bowl. Vinegar shouldn’t be added in this step. You will need to put the mixture in a jar or air tight container. Then you will need to put the Vinegar on top of it until it reaches 2/3rd of the container. After that, you will need to close the lid and shake the mixture well tightly. The jar needs to rest for 2 weeks. Occasionally shake the jar every day. After 14 days, the mixture has to be strained, and the tonic has to be stored in an air tight jar. The jar can be kept in the refrigerator to prolong its life. You have to drink the tonic as it is without diluting it in water. It is advisable to bit into a lemon after drinking the liquid. 1 Tbsp. should be taken every day and during flu or infection, 2 tbsp. can be taken. The amount of dosage has to be increased gradually until it reaches the amount of a shot glass. The tonic should never be taken in empty stomach. In children, it is best to start with 1 Tsp. 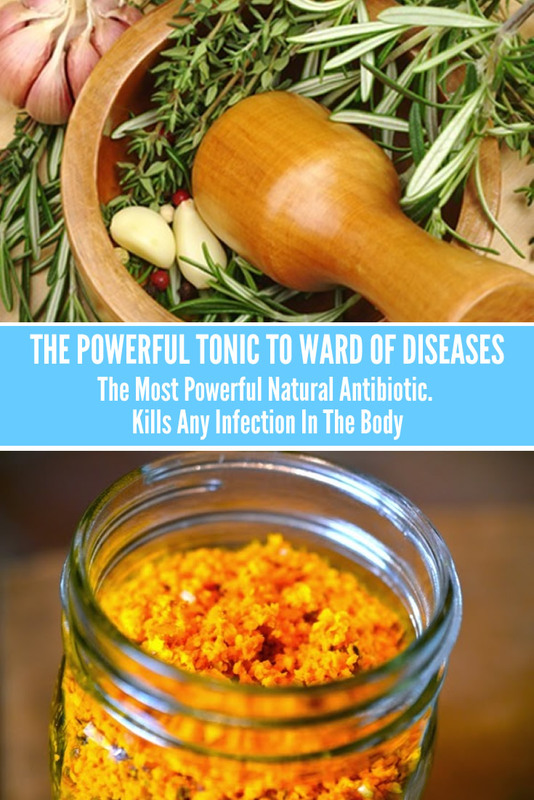 The tonic will help in making the body agile and provide strength to one’s immune system. But along with it, a person has to follow a diet rich in organic fruits and veggies with healthy fat and protein. All together it will make one’s body happy and free from diseases. Next articleLearn To Make Your Own Scrapbook With Paper Bags!